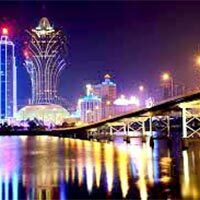 The Above Rates Are Quoted In Usd, Nett And Non-Refundlbale Able, No Rooms Have Been Blocked Yet. Above Is Just An Offer And We Are Not Holding Any Booking Against This Query. All Services/Rooms Are Subject To Availability At The Time Of Receiving Final Confirmation From Your End. If The Hotel Or Suppliers Change Their Quote For The Services That They Offer, The Same Will Be Forwarded To Your Company. 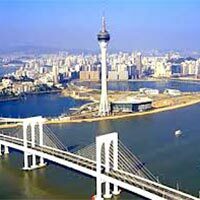 Arrival In Hong Kong - City Tour Arrive In Hong Kong, Asia'S World City And Be Transferred To The Hotel. Check-In Into The Hotel And Relax. 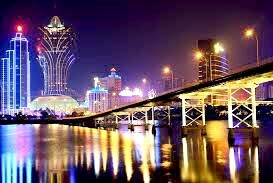 You Will Be Picked From Your Hotel In The Afternoon To Experience The Life–Style Of Hong Kong Island On Our Customized City Tour. Proceed To Visit The ‘Avenues Of Stars’ Which Pays Tribute To The Names That Helped Make Hong Kong The ‘Hollywood Of The East’, While Giving Visitors A Panoramic View Of The City’S Most Iconic Sight: Its Glorious Skyline, Dramatically Set Against The Peak. 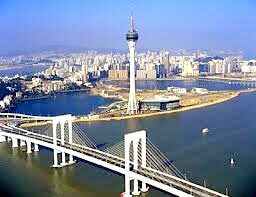 Thereafter Head To The Age Old Jewellery Factory, A Souvenir Shop And Aberdeen Fishing Village, Which Is Home To The ‘Boat People’ (Fishermen) And Renders A Picturesque View Of Fishing Boats, Trawlers And Yachts (Sam Pan Cruise Tours On Optional). 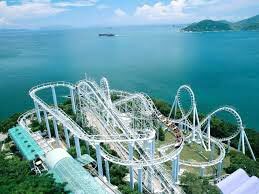 Later Enjoy A One Way Peak Tram Ride To View The Victoria Peak Which Is At 1503 Feet Above The Sea Level Gives A Breathtaking Panoramic View Of The City, It Attracts Close To 7 Million Visitors Annually, And You Can Click Pictures Of The Hong Kong Skyline. After The Tram Ride, Experience The Symphony Of Lights Named As ‘World’S Largest Permanent Light And Sound Show’ By Guinness World Records. Coloured Lights, Laser Beams And Search Lights Perform In An Unforgettable All-Round Spectacle Synchronized To Music And Narration That Celebrates, The Energy, Spirit And Diversity Of Hong Kong. At The End, Visit Madame Tussauds Which Is Part Of The Renowned Chain Of Wax Museums Founded By Marie Tussaud Of France. It Houses Nearly 100 Wax Figures Of Internationally Known Personalities. 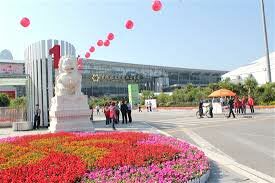 Later, Return To The Hotel For A Comfortable Overnight Stay. Hong Kong - Day At Leisure Enjoy Breakfast, Spend The Day At Leisure. 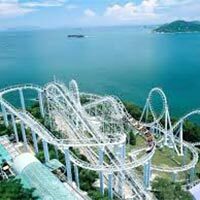 You May Opt For A Full Day Optional Tour Of Ocean Park Or Disneyland. 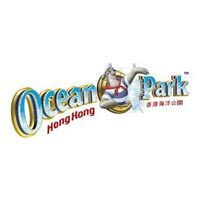 Ocean Park - Opened In 1977, Ocean Park Hong Kong Is A Marine-Life Theme Park Featuring Animal Exhibits, Thrill Rides And Shows. 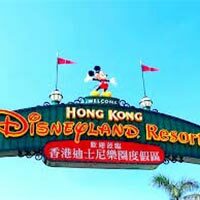 Disneyland - As The Newest Disneyland In The World, Hong Kong Disneyland Is A Must-See Because Of Its Special Attractions And The Inimitable Sense Of Chinese Culture. Walking Into It, You Feel You Are In A Wonderland. 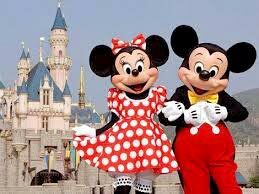 Accompanied By Mickey Mouse And Other Disney Friends, You Start A Fantastic And Magical Journey. 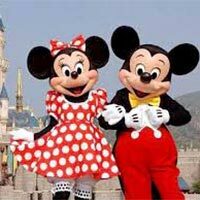 With Unique Scenic Spots And Disney Theme Hotels, You Can Go Escape From The Real World, And Make Your Dreams Come True. 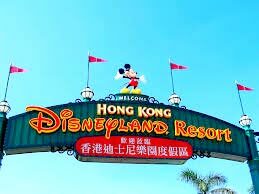 The Availability Of Delicious Chinese And Asian Food Is Also A Lure For Many Visitors And Disney Fans. Price Valid Only For Mentioned Period Only. Price Based On Minimum 04 Pax As Mentioned, Travelling Together At All Time. Room Availability Of Above Quoted Hotels Are Strictly Subject To Change & Will Check Availability & Confirm At The Time Of Reporting As Confirmed Booking. Above Rates Are Valid For Minimum 04 To 7 Paying Adults Travelling Together.